The business world is one of the most divergent areas since every time a new technology comes up, it targets how entrepreneurs will run their businesses with ease. The structure of your business nowadays determines how you are supposed to run it, how to pay taxes and the ease with which you can merge with others to cut out the competition. One of the business structures that many people desire to have is forming a corporation. Some entrepreneurs have incorporated their businesses and ended up regretting later because they did it without knowing if it was the right structure to select. Most of those that have incorporated their businesses in the wrong way has led to a nonrecoverable failure of the business enterprise. This may sound something less than important, but when it comes to incorporation, it is crucial. Many people move fast to incorporate without having the name of the incorporation on their mind. If you have done so, don't panic, relax. Without a name, the cooperation will still run after being given a number that serves as its legal identifier. It is also allowed to use a trade name to run the corporation although when it comes to conducting official business affairs, you will have to use the legal identifier number. It is good for you to have a name for your corporation though. First of all, it will help you to build your business name as well as the brand. It also provides added protection in terms of legal rights when it comes to expanding the investment to other areas. You will use the same name when starting new branches nationwide which will give you an immediate dominance in the market. Before thinking about how the corporation will benefit you as a shareholder, it is advisable to start with how the structure of the corporation in terms of the types of shares that the business will offer, the voting rights of the shareholders as well as how they will be paid. The articles of incorporation have to clarify the shares and all other aspects that could bring up conflict in the future. Neglecting the items outlined above will force you to do modifications every now and then which will definitely cost you more and more. To avoid any additional fees, we would advise that you take your time and know what you want. It would be better to leave room for flexibility such as an unlimited number of shareholders and a range of directors in the future that will encourage growth. Whenever most entrepreneurs set their eyes on incorporating their business, the only thing that occupies a large space in their mind is growth and not minor issues like a shareholder's agreement. This could look very small at the moment but in the long run, it might bring about conflicts in the future. 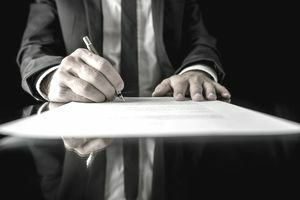 No one can foretell the future of the shareholders and thus it is very important for the articles of incorporation to outline what happens when a shareholder dies, wants to withdraw and so forth. The law is silent on these matters and therefore it is vital for you to outline the by-laws in the articles of incorporation for the sake of the future. It is written in the law that in case a corporation fails to file it's financial records two years consecutively, the incorporation act is free to dissolve the corporation in question. This means that if it is dissolved, the shareholders will have to incur extra costs in order to reincorporate it once again. Failing to file your corporation's annual declaration might also force the government to remove the corporation's name in their register. This is a true reflection of how tight things are and therefore it is good not to take chances when it comes to handing over of annual declarations of the corporation. Avoid this petty mistake so you can have a smooth ride in the corporate world. This is one of the temptations that many corporations fall into especially when jump-starting the business. At the beginning, we know that it is difficult to make ends meet but this does not mean you forfeit paying the taxes due. Many have done it before but when you are detected, most of the times the government won't respect the limited liability that you wanted to enjoy when forming the corporation. The above are the 5 common costly mistakes that many entrepreneurs commit whenever they incorporate their business. Some of them seem too obvious to be forgotten but we can assure you not every business person avoids them. You could ignore them at the start but there comes a time when only one mistake turns out to be too expensive and time-consuming. Since you are now enlightened about what the others have doing wrongfully, we would not want you to go down the same road. As you can see, the above errors are too easy to forget since most of us tend to focus more on the profits that the corporation will bring in. We never focus on the smaller details that can make the business have a smooth future. Let us not be too ignorant to the above issues though. They are the ones that will break your business when not done at the starting and growing phase of the corporation. Before you incorporate your business, therefore, make sure the above costly errors appear nowhere in your operation.